Rewarding careers in computer graphics and related industries are always available. Many opportunities are entry-level positions, but most require some experience in creative and/or technical specialties. 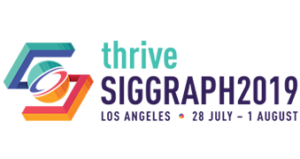 If you are a student planning your academic preparation for a career in computer graphics and interactive techniques, consult the ACM SIGGRAPH Education Index, an extensive listing of hundreds of programs throughout the world.